Serving authentic traditional Chinese cuisine renowned in the area, ala carte, course meals, and daily lunch/dinner set menus available at an affordable price. 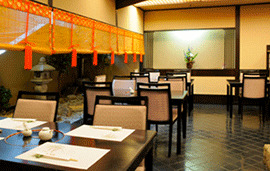 Serving daily Chinese lunch set menus during weekdays. Enjoy a broad array of authentic Italian dishes with wines to match in a traditional Japanese style atmosphere with private dining rooms. Serving daily lunch pasta set menus during weekdays. 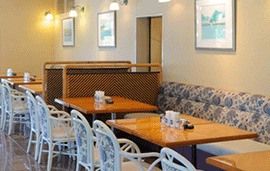 Private dining rooms available with reservations. 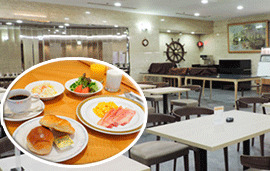 Café atmosphere facing the main entrance lobby, serving a hearty well balanced buffet during breakfast and lunch hours.